Social Development Minister, Mervyn Storey MLA, has today announced funding of £1.5m to regenerate Portstewart's promenade. The joint initiative will include £750,000 from the Department for Social Development (DSD), with Causeway Coast and Glens Borough Council providing equal funding of £750,000. Photographed are L-R Social Development Minister Mervyn Storey MLA, Mayor of Causeway Coast and Glens Borough Council Cllr Michelle Knight-McQuilan and Eugene McKenna, GEDA Construction. Photographed by Andrew Towe, Parkway Photography. 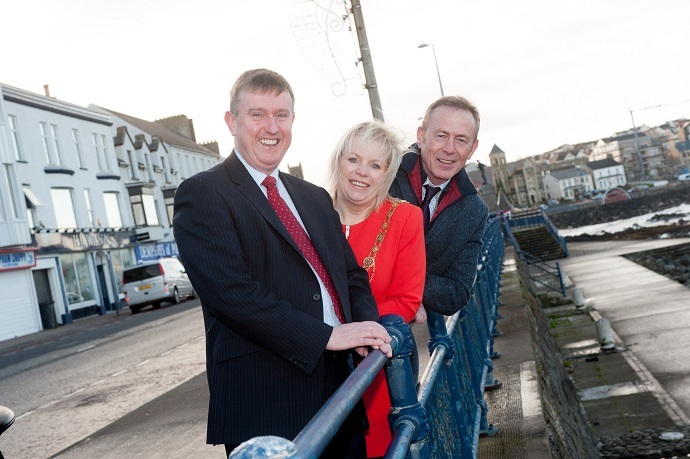 Former DSD Minister, Mervyn Storey, said: “This £1.5million Public Realm Scheme is great news for the town of Portstewart and will provide a much needed face-lift to one of Northern Ireland’s favourite sea-side resorts. 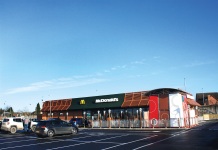 The Mayor of Causeway Coast and Glens Borough Council, Councillor Michelle Knight-McQuillan, said: “The funding of £1.5million for a Public Realm Scheme to improve one of our most popular towns in the Borough is significant for Portstewart.